Set Yourself Up for Success this Summer! Happy summer vacation, Hounds! Whether you’re working, travelling, interning, or just relaxing this summer, there is plenty you can be doing to set yourself up for success right now. No matter your year in school, it is never too early to work toward your goals! Here are just a few steps you can take. Explore majors and careers with our interactive exploration tool, Focus 2! 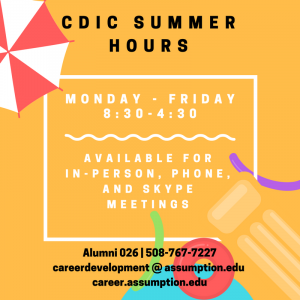 Don’t forget, the CDIC is open through the summer to support you in your job/internship searches and career exploration. We’re open Monday-Friday 8:30 a.m. – 4:30 p.m. and are available for in-person, Skype, and phone meetings. 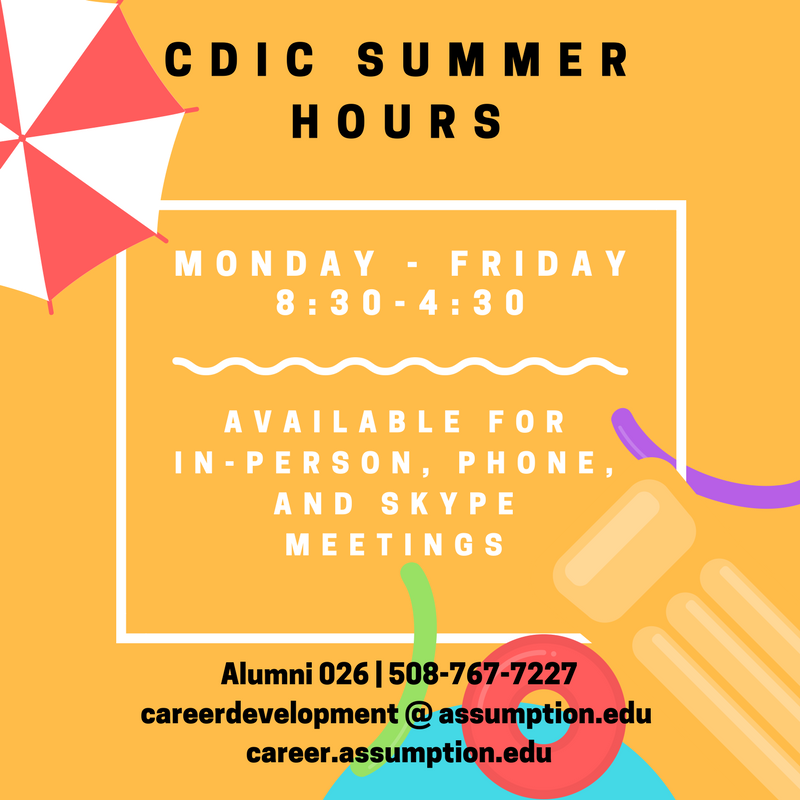 Call us at 508-767-7227 or email us at careerdevelopment@assumption.edu to schedule an appointment!